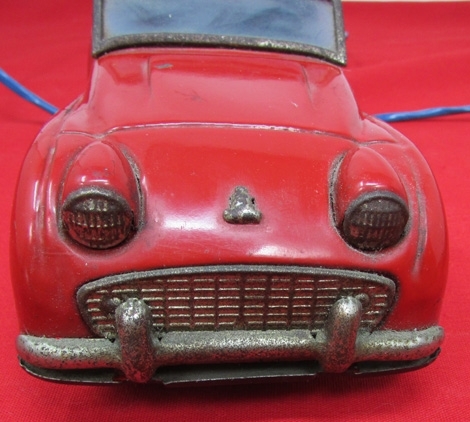 Item #46060 : Original era manufacture. 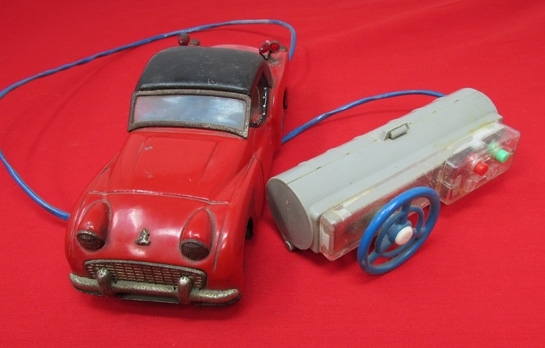 From our own collection, tinplate battery operated British TR3 with its battery pack and cord.The rear lights are present, minor scratches and dings to the body from play. 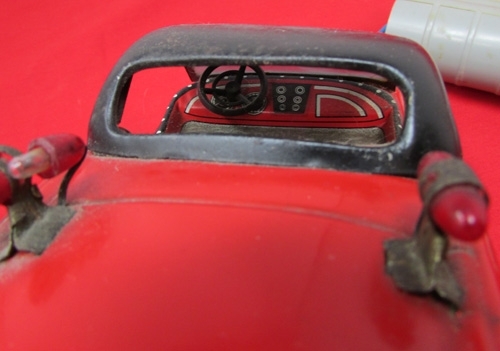 The original operating cord is present as is the battery pack with steering wheel control.